This is the history of HCT, which has been continuously developing from the beginning to the present. 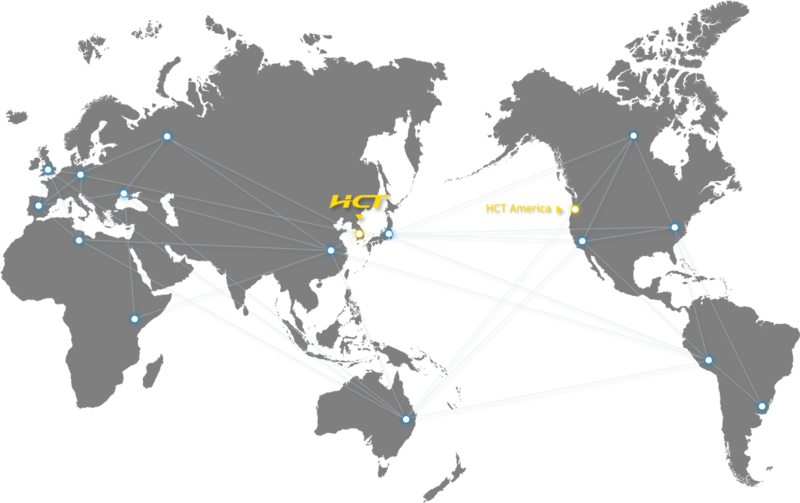 Changed company name to HCT Co., Ltd. Received Minister of Commerce award in Industry and Energy as "excellent institution for overseas standard certification acquisition supporting business" of Small and Medium Business Administration. Registered a VCCI certified testing laboratory in the field of conduction and radiation (Japan). Approved as a TUV certified testing laboratory in the field of EMC, MPPRII, and low frequency (Germany). Established Hyundai Calibration Certification Technology Co., Ltd. Signed a contract to transfer semiconductor business from Hynix Semiconductor Co., Ltd.
Approved as an MIC certified testing laboratory (National Radio Research Agency under Ministry of Information and Communication).